Post subject: Re: What did you do to your Subie today? Installation will occur when i have 1)My car back, 2)Time, and three figure out the wiring. The ignition wire is still not hooked up here, but this black white cable is not used for this alternator. I also lost the battery signal light or whatever, so I need to go get a digital gauge somewhere that plugs into the 12v cigarette lighter. 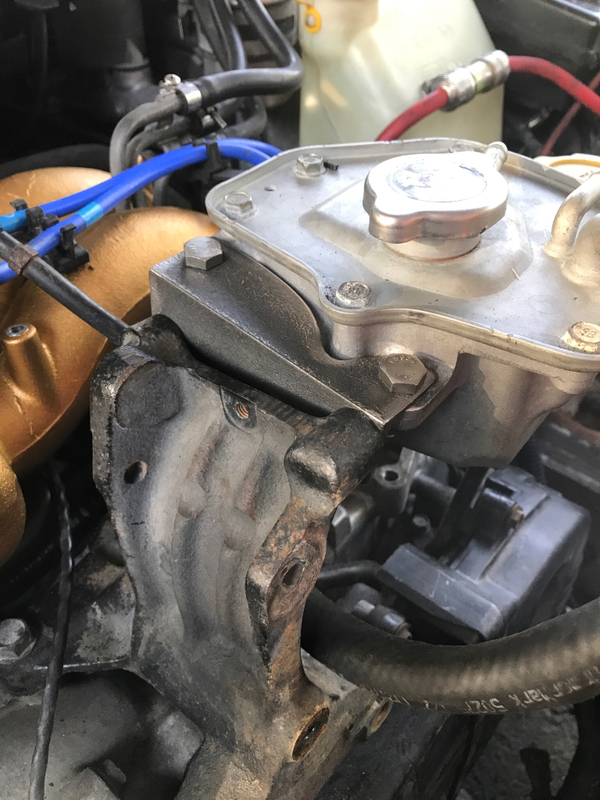 What year/model is this alternator from? It's a custom from Singer Alternators. I'm not sure what the body is from, or what they did to make it honestly. j/k, this was halfway through taking the Outback suspension off. 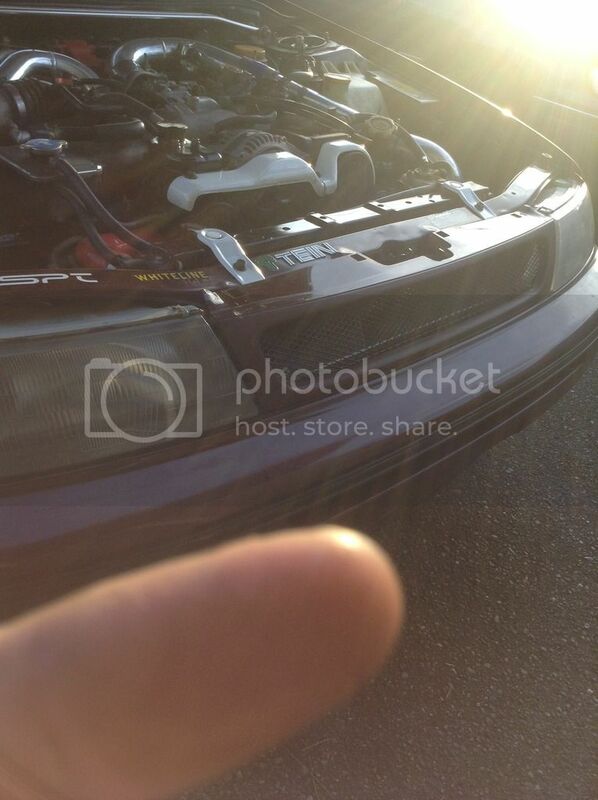 Jimmy-rigged a turbo inlet pipe out of metal. Picked up a skid plate from a 94 mi for a (I believe) good price, 20 bucks. well get out there and smash that geo around and get comfy. 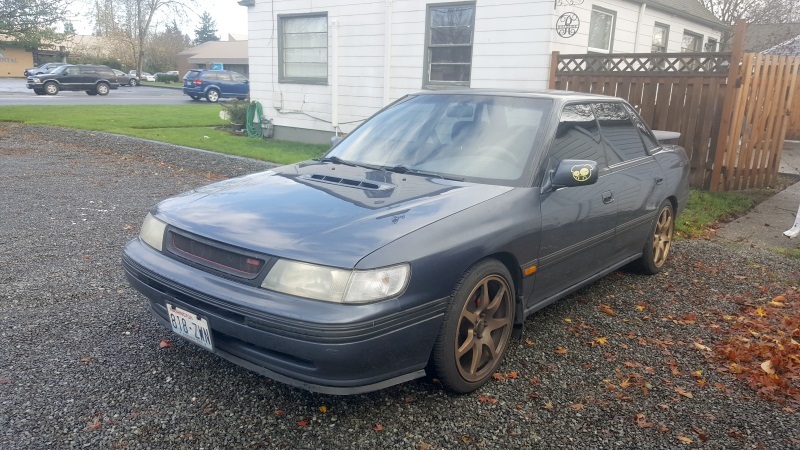 1993 Legacy LS Awd: lifted, 4eat, higher mileage, and dirty. 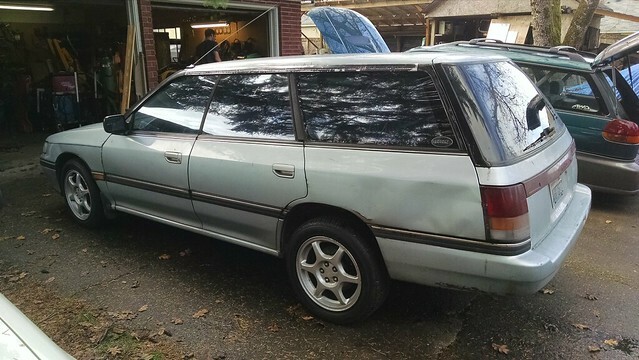 1994 Legacy Turbo wagon: rwd, 4eat, and a faint knock..
1992 Legacy postal: bone stock, 4eat, blown reverse. Installed Feal 441 Road Race Coilovers and a bunch of other goodies!! -Installed Raceland's Primo coilovers last night. Have to say, money well spent. Not done with adjustments and alignment, but driving it home last night on the stiffest dampening setting was just fine. Drove to work this morning on the softest dampening setting and even better for a daily driven Tleg. I don't have a comparison to other brands of coilovers, but I have owned all three sets of Raceland's, red, green and now white and I think the Primo's are worth the extra $100 bucks compared to the Ultimo's. Went to WBM (at statford motor speedway in CT) always good to see other members and their rides. I was there too hi!! 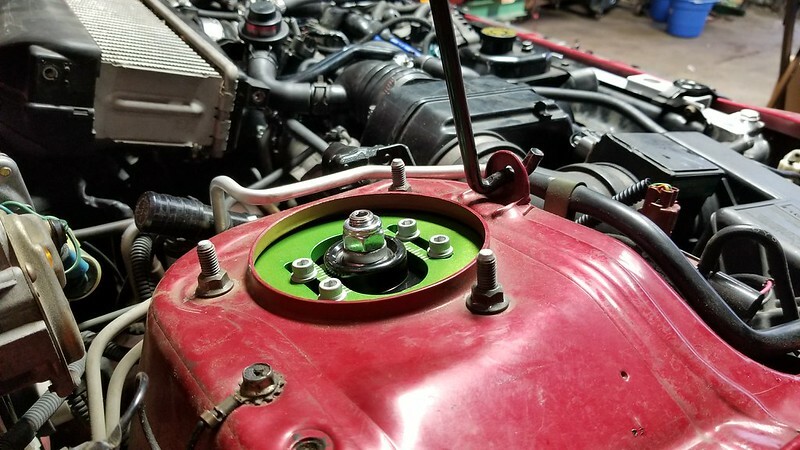 -Installed a VF39 last Tuesday... From a TD04 previously. New Axles meant for a 2002 impreza from napa. Same spline count just slightly longer 26inch vs 25 stock. I must say for all the criticism Ive read regarding aftermarket vs oem Im happy with my 70$per axle vs 200 plus for remanufactured..
-Installed a GFB blow off valve. 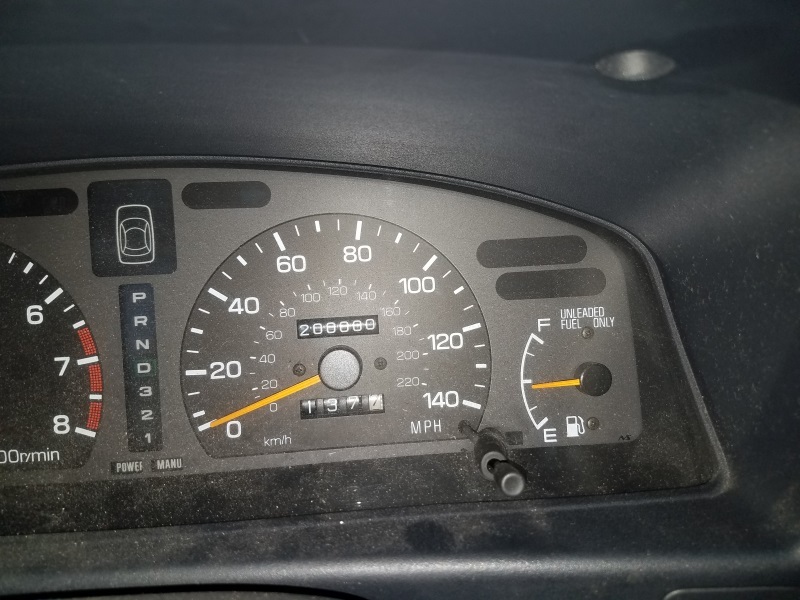 Yesterday really, but she hit 200k. What a champ. I remember doing that on my '91 sedan and hitting 300k 0n my '91 wagon!-A great accomplishment! Finished the EJ205 drivetrain swap into her '02 Outback wagon. Was a big project that took longer than I was expecting, but worth it. A little more involved than I was planning on, but that's every project. Still need to fab a bracket from the cruise actuator. 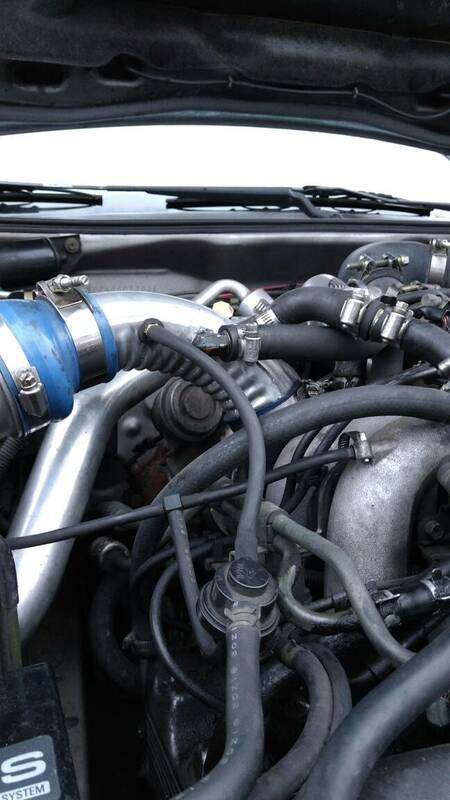 She runs good but needs more turbo for such a heavy car.